Having a smart home means the outside can be smart too! Play your favorite music from discreet landscape speakers around the pool. 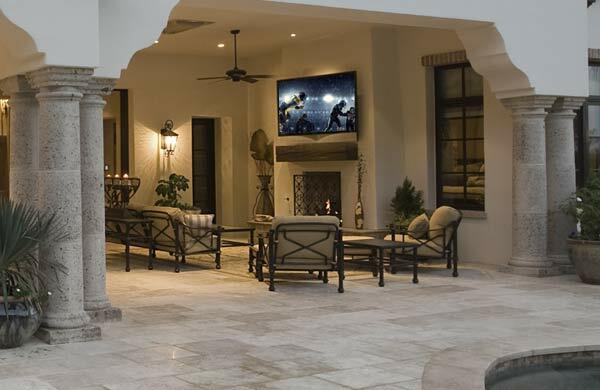 Enjoy the big game on your weatherproof TV and entertain guests while you barbeque on your fully connected back porch. You will absolutely love the lifestyle enhancement a professionally installed outdoor entertainment system will bring. Call us today to come visit your backyard and provide a free consultation.